All of the grand buildings in Venice were once called ‘Ca (which is short for casa: house), and that’s because the title of ‘palazzo’ was reserved for the Ducal Palace only. So, the ‘Ca D’Oro really means the ‘House of Gold’ because it was renowned for its golden façade; which unfortunately has since faded, but is still magnificent in its details. This precious place was built in the 1420s for the Contarini family. These were great merchants and thus noblemen of Venice, who produced a series of Doges between 1043 to 1676. Back then, a Venetian noble’s palace was not only his home but also his place of business, which included his warehouse. -The family’s living area would be above all that -and – finally, the servants'quarters in the attic. Can you imagine the nobleman’s view from up in his quarters…Seeing the Grand Canal and all incoming visitors, gondolas swaying and the glittering water from the sunshine…No wonder Venetians thought of themselves as being on top of the world! If ever you go to Venice make sure you stop by and visit the ‘Ca D’Oro Palace. This Gothic style palace is now a museum that exhibits some of the finest works of art. It’s a quick tour, but the visit is magnificent. The Galleria Franchetti is named after Baron Giorgio Franchetti, an art collector who bought the place and restored it. I never tire of this visit. 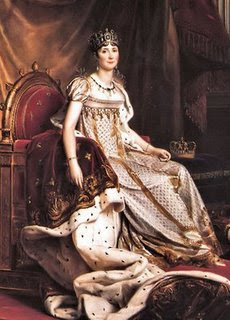 I’d like to reserve Thursdays for posts that include anything involving my favourite lady of the past, Josephine B. She’s a historical figure that I really love to learn about, so if you feel the same way, this should be really interesting. Also, I’d love it if you’d email me with any suggestions or questions that you would like me to post about. Bon Jeudi! 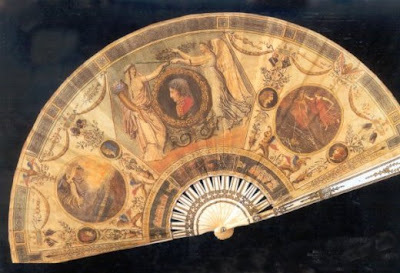 In the eighteenth century the fan was not merely an accessory. If a lady knew anything about fashion, she made sure that her wardrobe was complete by including this precious ‘atout’. Our dearest fashion icon, Josephine, always selected the finest fans by having them imported or specifically designed to her own taste. Besides its obvious use for fanning away those pesky flying insects and keeping the ladies cool and fresh, the fan had a life of its own. It was a precious tool used for subtle communication. One could easily read a woman’s moods, intentions and interests simply by the movements of her fan. How did it come to this? Let’s take a quick look at its history. In its earliest beginnings, seen in the ancient monuments, the fan began as a modest palm leaf or even a bird’s wing. Throughout the ages, it became a practical and useful, necessity that was modified, adjusted and improved along the way. It then disappeared along with the last Caesars to make comeback during the Crusades; in Venice, Naples and Padua, in the form of a flag fan. Though, at the time it was only used as an object of purity mainly used for Christian purposes, such as keeping the flies away from the Chalice. The folding fan, as we know it today, was brought over from China in the 15th century to Portugal, Spain and Italy. Catherine de Medici’s Italian perfumers actually brought the fan to France. These fans were gorgeous with painted wood and the most delicate kid skins. Its magnificent colors and versatility made it the perfect fashion accessory for any lady of fine taste and class. Josephine was no exception. It was expected of every ‘Grande dame’ to have her own distinctive fan, to gracefully hold should the need arise. One should not go without! She would use it to communicate and express herself in ways that others could understand. This gave the fan even more importance as it was the ultimate means of expression without words, gestures or sound. It was also a wonderful way to only expose the eyes while covering the mouth. This may have been particularly useful and wise, considering that oral hygiene and pearly whites were not the norm back then. In Josephine’s case, she was known to always smile with her mouth closed because of her teeth’s less than favorable condition. The fan made it possible and very convenient for her to share a good hearty laugh in elegant fashion. 1) THE FAN PLACED NEAR THE HEART: "You have won my love." 2) A CLOSED FAN TOUCHING THE RIGHT EYE: "When may I be allowed to see you?" 3) THE NUMBER OF STICKS SHOWN ANSWERED THE QUESTION: "At what hour?" 4) THREATENING MOVEMENTS WITH A FAN CLOSED: "Do not be so imprudent"
5) HALF-OPENED FAN PRESSED TO THE LIPS: "You may kiss me." 6) HANDS CLASPED TOGETHER HOLDING AN OPEN FAN: "Forgive me." 7) COVERING THE LEFT EAR WITH AN OPEN FAN: "Do not betray our secret." 8) HIDING THE EYES BEHIND AN OPEN FAN: "I love you." 9) SHUTTING A FULLY OPENED FAN SLOWLY: "I promise to marry you." 10) DRAWING THE FAN ACCROSS THE EYES: "I am sorry." 11) TOUCHING THE FINGER TO THE TIP OF THE FAN: "I wish to speak with you." 12) LETTING THE FAN REST ON THE RIGHT CHEEK: "Yes." 13) LETTING THE FAN REST ON THE LEFT CHEEK: "No." 14) OPENING AND CLOSING THE FAN SEVERAL TIMES: "You are cruel"
15) DROPPING THE FAN: "We will be friends." 16) FANNING SLOWLY: "I am married." 17) FANNING QUICKLY: "I am engaged." "I am engaged." 18) PUTTING THE FAN HANDLE TO THE LIPS: "Kiss me." 19) OPENING A FAN WIDE: "Wait for me." 20) PLACING THE FAN BEHIND THE HEAD: "Do not forget me"
21) PLACING THE FAN BEHIND THE HEAD WITH FINGER EXTENDED: "Goodbye." 22) FAN IN RIGHT HAND IN FRONT OF FACE: "Follow me." 23) FAN IN LEFT HAND IN FRONT OF FACE: "I am desirous of your acquaintance." 24) FAN HELD OVER LEFT EAR: "I wish to get rid of you." 25) DRAWING THE FAN ACROSS THE FOREHEAD: "You have changed." 26) TWIRLING THE FAN IN THE LEFT HAND: "We are being watched." 27) TWIRLING THE FAN IN THE RIGHT HAND: "I love another." 28) CARRYING THE OPEN FAN IN THE RIGHT HAND: "You are too willing." 29) CARRYING THE OPEN FAN IN THE LEFT HAND: "Come and talk to me." 30) DRAWING THE FAN THROUGH THE HAND: "I hate you!" 31) DRAWING THE FAN ACROSS THE CHEEK: "I love you!" 32) PRESENTING THE FAN SHUT: "Do you love me?" Vivaldi, the most creative composer of the eighteenth century was born in Venice, in 1678, to well-off parents, Giovanni and Camilla. As was customary of the times, the eldest son of upper-class families would be sent to the priesthood. So, as soon as he was ordained, in 1703, Vivaldi was hired by the Pio Ospedale della Pieta’ to not only give Mass, but to teach violin as well. Having been taught by his father to play the violin when he was very young, Vivaldi enjoyed this instrument the most. ‘The red priest’, nicknamed for his bright flame-colored hair, soon discovered that he rather create musical masterpieces rather than say Mass. He even went as far as saying that his asthma was so severe at times that it impeded him from giving sermons. Speaking out loud weakened him. With this excuse, which is still disputed today, Vivaldi gave up being a man of the cloth but continued to be employed by the Pieta’ as a violin master. This is not to say that he wasn’t religious; in fact, Vivaldi was a devout Catholic who composed music while holding a rosary. At the Pieta’, Vivaldi published many works that began primarily with vocal pieces for the orphans as well as his first book of Sonatas. When Vivaldi was offered to take some time off, he decided to travel to other parts of the Veneto region where he began to enjoy opera. He wasted no time in producing incredible works such as his first opera masterpiece “Ottone in Villa”- he created this piece in Vicenza, Italy (my parents’ home town!). Vivaldi enjoyed his travels and was much inspired by all the new places he visited, where he was inspired to write wonderful renowned operas. He was also very famous for his concertos. He composed these instrumental works while creating operas; let’s just say he was an extremely busy man. He was involved in every aspect of the presentations, from conducting to performing and more. This spiritually motivated mastermind, who inspired such greats as Bach and Albinoni, was a simple man whose love of music was his life long passion. Although he never married, he did apparently have a relationship with one of his best students, Anna Giraud. Vivaldi died in Vienna in 1741. For wonderful Vivaldi music, please go to Ninon’s amazing site: Musica & Arte. Amy from Passages to the Past is having a wonderful giveaway of 'Mary Queen of France' by Jean Plaidy! You need to head on over there right now! 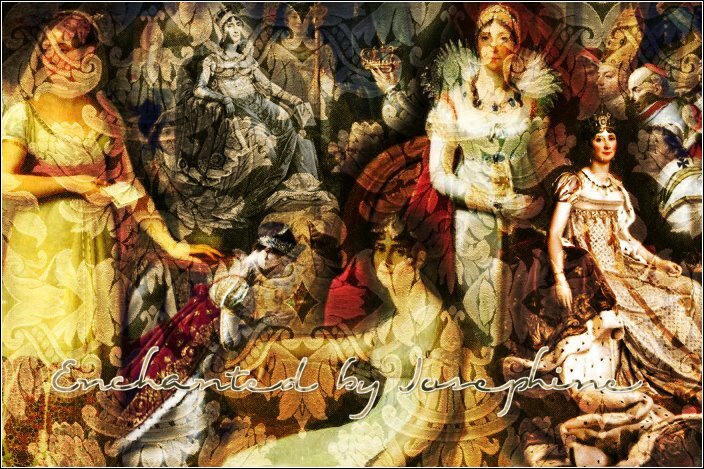 The Courtesans- The Demi-Monde in 19th-Century France, by Joanna Richardson tells the story of several of the most famous courtesans of the century. Every chapter deals with a different woman and her glory days. The chapters read like summaries and if you are interested in reading about detailed dates, time and places; this is the book for you. The introduction to this book is quite captivating. The rest of the book unfortunately didn’t meet my expectations. The courtesans, who were quite colorful characters with lives to match, sadly did not stand out as they should have. I agree that a certain amount of history is necessary, but when this overshadows the characters themselves, it takes away the flavor. Besides their lifestyle and artistic careers, important men that indulged in obtaining ‘services’, played a strategic role in the courtesans’ popularity and status. Such were the likes of Napoleon III and other prominent figures. Although it was interesting to read about how these ladies were often in charge of whom they chose to bestow their natural gifts upon; I would have liked a more detailed look into their lives and what made each of the courtesans so unique in their own way. This is something which I believe this book failed to do. After having read about each of their lives, these courtesans all seemed the same to me. I was misled by the interesting introduction and beautiful illustrations into reading a book that was more factual than entertaining- A different intention for which I wasn’t prepared for. 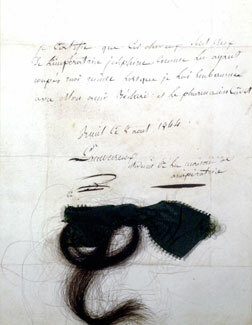 For this first day of spring my dear friends, I wanted to post a love letter from Napoleon to Josephine. Although it is dated December 1795, I still think it sounds like an awakening love poem that suits this splendid season. Happy Spring! My soul is broken with grief and my love for you forbids repose. But how can I rest any more, when I yield to the feeling that masters my inmost self, when I quaff from your lips and from your heart a scorching flame? Arleigh from historical-fiction.com, who is an expert when it comes to all historical fiction. She’s the reason why I started blogging and she’s always so patient with me. We share the same passion for family, history and Plaidy and she's a really good friend. She’s wonderful! Ingrid from Fashion is my Muse and Blog of a Bookworm is a terrific and extremely talented lady who’s always there for me when I need a boost. And, although we haven't known eachother long, we've gotten really close. Not only is she genuinely nice, she’s such an inspiration! Ma belle Judith from Paris Atelier, a dear friend who always has a kind word for me. She’s always interested in what I have to say and is upbeat and caring about it too. With so many things in common, she’s a sweet friend with a great big heart! I'm so sorry it's taken me some time to get around to doing this, and I also want you to know that it's so very much appreciated! 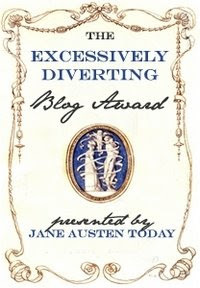 I would like to thank Ingrid at Fashion is My Muse, for bestowing me with the Excessively Diverting Blog Award. Ingrid’s blog is excessively amazing and I’m very honored that she chose my blog for this award. Thanks Ingrid! 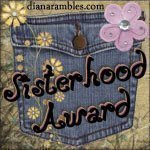 Another great big Thank you goes to Cynthia at Oasis Writing Link (OWL) who has given my blog the Premio Dardos Award. I’m delighted to be considered part of such dynamic and engaging company. Thanks Cynthia! 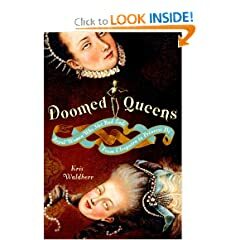 Kris Waldherr, author and illustrator of Doomed Queens- Royal Women Who Met Bad Ends From Cleopatra to Princess Di , has created an-all around engaging and entertaining historical read. Beautifully illustrated, the dreamy-eyed queens, accompanied by their fellow skeletons, meet their final tragic fate; recollected in this captivating book. Not only does this novel tell us about the lives of these queens, it does so in a concise, yet complete, summary of events that takes us back to that particular time in history. Despite the dark finales (after all, the book’s about ‘doomed queens’), Kris Waldherr’s writing style is upbeat and witty, making it so much fun to read, you just won’t be able to put it down. I loved the way the author was able to keep me interested in every queen by keeping it brief, filled with information and detailed with lovely illustrations to complement the scene. The ‘Cautionary Moral’ at the end of every story is hilarious as well as to the point. This book is definitely a wonderful initiation for anyone who would like to begin learning about important historical figures. 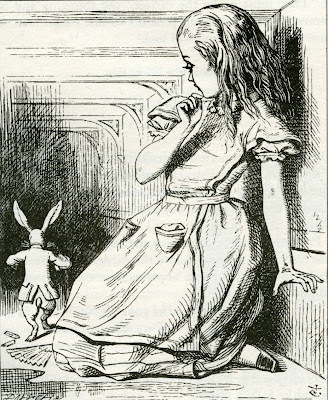 It’s especially important to note that this book is unique in its conception. First of all, it’s very rare to see a book this original in its creativity…would you believe that the front and back covers are actually ‘queen cut-outs’? This book is completely interactive. 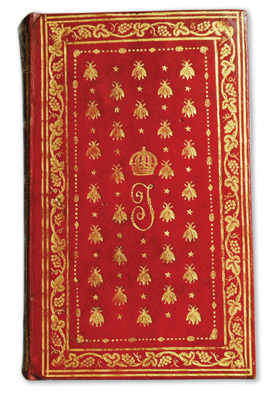 It contains a Graphic key to explain the cause of each queen’s death; an illustrated timeline; an historical explanation sidebar in every chapter, as well as a quiz; queens’ quotes; the method of death and so much more. The grand finale of this book is the quiz that you take for yourself to know whether you too, are a doomed queen…Very special. The ultimate reading entertainment…It’s definitely one of a kind! Venice is filled with absolutely gorgeous historical palaces. So I thought I’d start a series of posts on some of the most beautiful ones I know. Here you’ll find some historical information of interest as well as some beautiful photos that will entice anyone with a taste for royal luxury and the past. When in Venice…Do as the Empress. There are so many beautiful palaces in Venice that I had a hard time deciding which I should begin with. I finally decided on Palazzo Moretti Pisani for my first post, since this is the palace in which Josephine stayed while in Venice during the Revolution period. Built in the 15th century, this Gothic style palace underwent many renovations that ended in the 18th century. Wonderful artists of the 18th century were responsible for the beautiful Baroque interiors; namely, Giambattista Tiepolo (see the magnificent ceiling he painted! ), Jacopo Guarana, Gaspare Diziani and Giuseppe Angeli. This absolutely stunning palace, definitely fit for an Empress, hosted other famous Royals such as Tzar Paul of Russia and Joseph II of Austria. 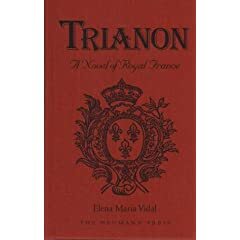 Trianon, a Novel of Royal France, by Elena Maria Vidal. Be prepared for a re-introduction to two remarkable human beings whose fate can only be compared to that of the holiest martyrs. You will forever banish any previous perceptions or accounts for which you believed to be true. Be prepared to learn history as it should have been told. You will experience their life, their love, their faith, for you have never known them as you will after reading this book…Be prepared to be moved beyond belief. This absolutely beautifully written novel details the life of the Royal couple by capturing the very essence of their being. Faith is the fiber that binds them to a relentless love for eachother and their country. The book is filled with magnificent scripture that is there not for the embellishment of the story, but rather as an ever present part of their daily life. The story is told in minute details and the love, the hardship, the loyalty and the suffering are all equally intense. There isn’t a part of the book that can be read lightly. It is extremely deep in terms of love, sorrow, faith and revelation. Both Marie Antoinette and Louis XVl were deeply religious and this is clear throughout the book. They lived their lives in accordance to the Roman Catholic religion and dedicated their lives to the Sacred Heart of Jesus and the Virgin Mary. The book highlights this important aspect of their lives; which was essential for sustaining them through their infinite struggles and tragedies. 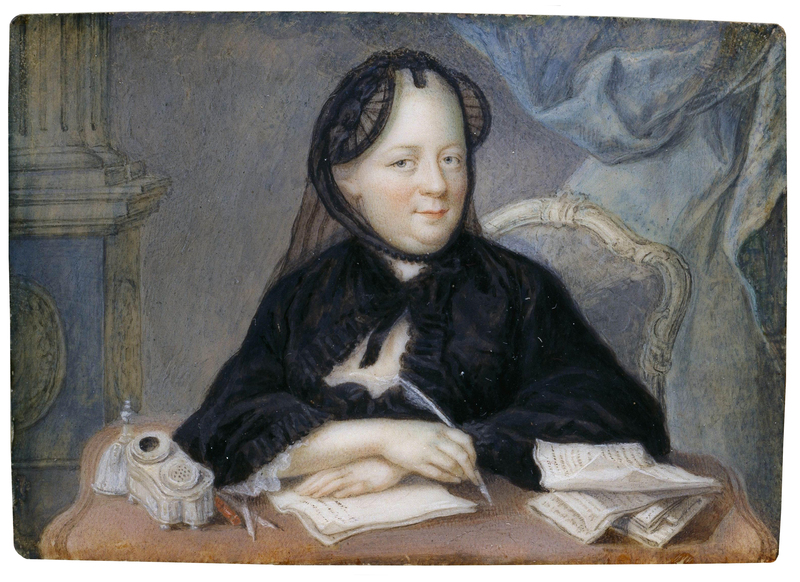 I was also fascinated by the lives and encounters of the other characters seen in the book, such as; Madame Royale, a young daughter who was exposed to way too much tragedy at such an impressionable age; Madame Louise of France and her piety and love and understanding of the royal couple; and of course, Madame Elizabeth and her tender ways; the Abbé, who helped give great strength to the king. His role was immense in a time of inconceivable tragedy. I got to learn so much about all the other characters as well. I particularly enjoyed the way Elena Maria Vidal takes us through the royal couple’s lives by weaving in details of past, and blending them perfectly within the story. The intricate details pertaining to the time, place and person are what made it so real and indisputably accurate in the historical sense as well. So, for me this book was more than a glimpse into the lives of historical figures by means of a novel. This was a reliving of history as it should have been told. Now, although I could not put this book down because I was totally enveloped by it; it was by no means an easy read. This book wrenched my heart out as I relived their tragedy, page by page. It touched me so deeply that all I wanted to do was to keep on reading. This magnificent book is enlightening, as well as elevating; the perfect blend of history and spirituality within the realm of compassion and truth…Mesmerizing. * At the beginning of the book, a detailed list of characters is included along with the family tree of the Royal House of Bourbon. Mistress of the Sun Giveaway! 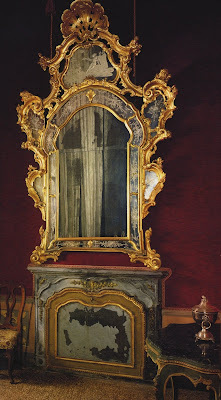 Another Venetian favorite of the 18th century is most certainly Carlo Goldoni. Born in Venice in 1707, this mastermind playwright, poet and librettist is greatly responsible for changing Italian theatre as it was then known as the Commedia Dell’Arte. 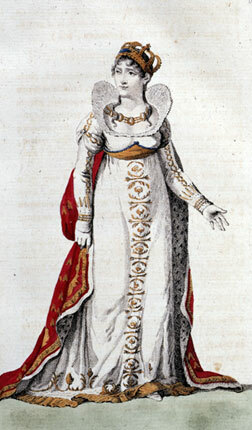 Goldoni wrote mainly in Venetian, Tuscan and French. His true affinity for the dramatic arts was noticed when he was just a young child. Rather than the usual children toys, he loved playing with puppets and creating all sorts of plots and scenarios. Growing up, his father signed him up at a strict school, Collegio Ghislieri in Pavia, where he was to be educated in discourse. 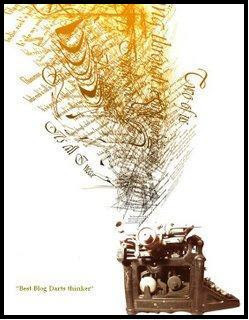 Goldoni, who could not suppress his desire to write, found root to expression through poems. In one of these poems, Goldoni pushed the limit by writing a poem which mocked noble daughters of the Pavian aristocracy. Other mischievous incidents as these, together with frequent unauthorized (...obviously) trips to local brothels, eventually got him expelled from school. He later earned his Law degree in Modena and practiced for awhile until returning to Venice. It is here, that he left his law practice to begin writing for good. With a new bride in tow, Nicoletta Conio, he decided to make Venice is home again and playwriting, his career. Goldoni composed several works of opera and tragedies. But he soon discovered that his true love was comedy. Goldoni loved people and relationships and this was reflected in his plays. A modern man for his times, Goldoni abhorred any abuse of power, and his plays reflected this by the importance he gave to the struggles and conflicts of the middle class. Although this was comedy, Goldoni used this form of expression to make light of important life situations. 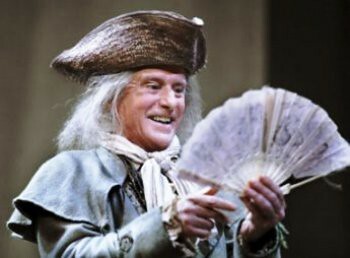 With Molière plays as a guide and base for his own, in addition to some aspects of the Commedia dell’Arte, Goldoni developed a new form of dramatic expression that revolutionized the theatre altogether. Things were not so perfect in Italy for Goldoni. His ideas were often rebuked as was his modern humanistic thinking. This new way of reforming the theatre was not well taken by all. Due to ongoing disagreements with another playwright, Carlo Gozzi, Goldoni finally decided to leave for France. There, he achieved much success writing numerous plays. He also wrote the very successful, Le Bourru bienfaisant for Marie Antoinette’s wedding to Louis XVl. Goldoni was very popular in the King’s court. He was so loved by the French, that he chose Versailles as his place to retire. Of the many plays that Goldoni has written, Il Ventaglio is my personal favourite. (My brother back in the 70’s while in University, actually had a role in this play). The story entails the lives of all the typical people living in and around Venice in the 1800s. Through intrigue, scandal, love, hope and conflict-all of them were linked by one, simple fan; How deliciously Venetian and Goldonian. Here are some pictures that I found of the play Il Ventaglio, still very popular today. A few days ago I visited my local used bookstore to see what treasures I may find. 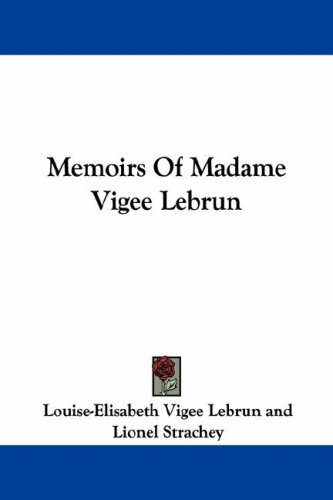 Can you believe I found a 1926 hardcover "MEMOIRS OF MADAME VIGEE-LE-BRUN"?!! The cover is in pretty good condition, but the inside has been immaculately well preserved. What a precious find to add to my collection. Here's a picture of the paperback version. (Mine doesn't look like this at all- it's a faded Royal Blue, with the title up on the far left). 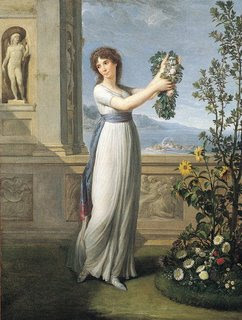 The following oare from the splendid site Treasures of Napoleon. May your week be filled with precious and memorable moments.